Dubbed a "gangster" by state media just a few months ago, Peppa Pig has rediscovered the love in China. 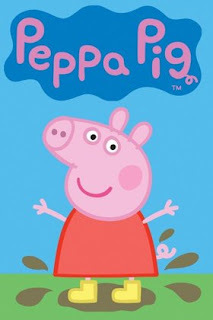 Peppa Pig is a British preschool animated television series. 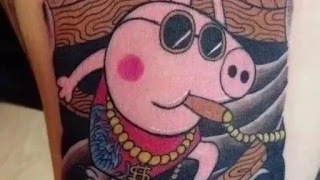 In May last year, Peppa Pig morphed into an anti-establishment symbol when it became associated with "shehuiren" -- slang for gangster. Thousands of Peppa Pig videos were culled from an app in China last year as part of the government's bid to cleanse the internet of all things Peppa. A new movie teaser shows a rural man's attempt to discover what his city-raised granddaughter means when she says "Pei Qi' -- "Peppa Pig" in Chinese. 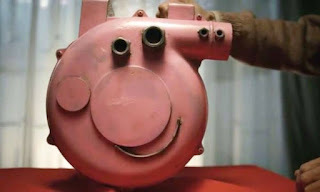 After a failed attempt to paint a farm pig red, he adapts an old ventilation fan to make it look like the character, pleasing the waiting child. The 6-minute trailer has gone viral on the Chinese internet, with over 330 million views on Weibo. It's a remarkable change in fortunes for the world's most famous “gangster icon” hog.